This recipe is a Bonfire Night favourite! It's so easy to make your own toffee apples, just four ingredients and you're done! You'll never buy them again! In a clean pan mix the sugar and water to a paste then add the glucose. Boil it for ten minutes, brushing away any crystalized sugar that forms so that it dissolves back into the pan. When the mixture colours, remove from the heat and cool the caramel by placing the pan into cold water. 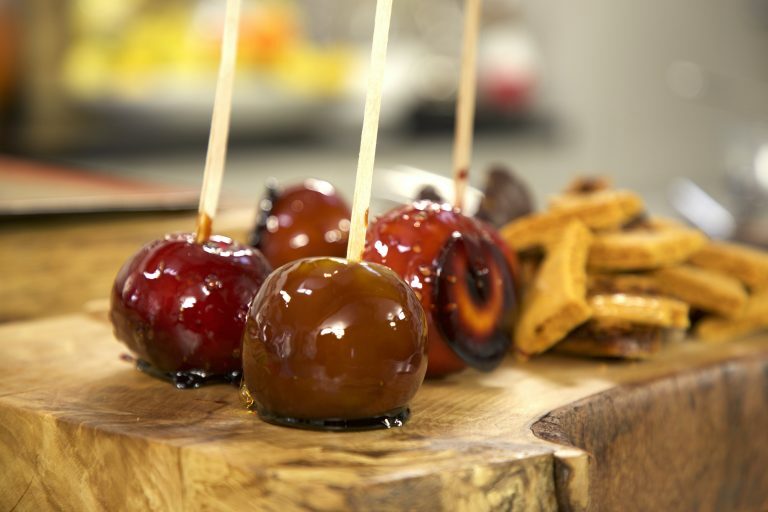 Push a lollypop stick into each apple and roll the apples into the caramel to coat them completely. Stand on a non-stick surface until the caramel has set.